Managed from NANTES, VALOREM MARINE SOLUTIONS is at the heart of the French offshore RME & wind power ecosystem. Through the network of VALOREM Group internal resources in BORDEAUX, CARCASSONNE, NANTES, AMIENS and GUADELOUPE, VALOREM MARINE SOLUTIONS is present on all coastlines in metropolitan France and in the Caribbean area. 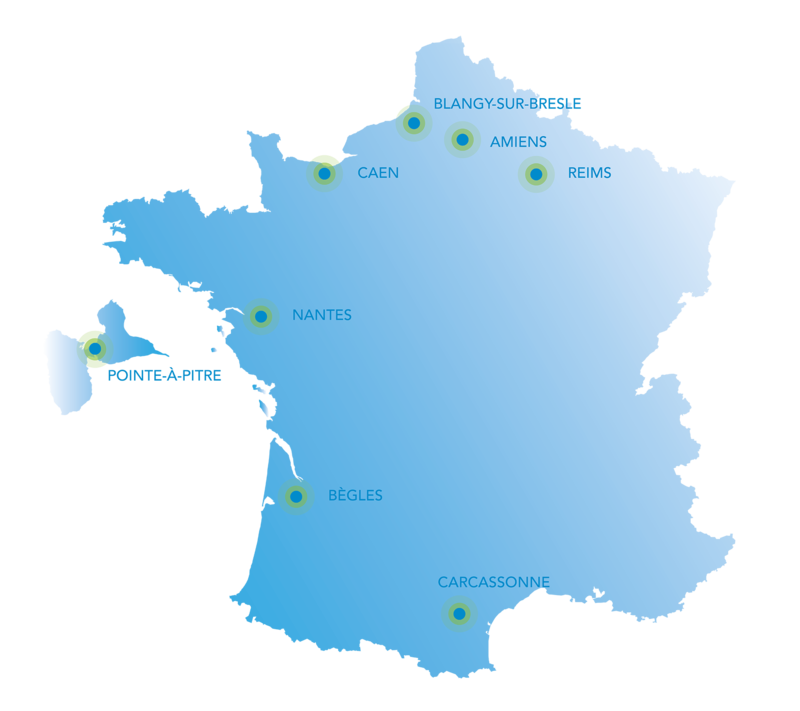 VALEMO control centre, located in Bordeaux, as well as its local maintenance bases (CASTRE, BORDEAUX, NANTES, CAEN, BLANGY / BRESLES) effectively complement this strong territorial presence to meet all customer needs.